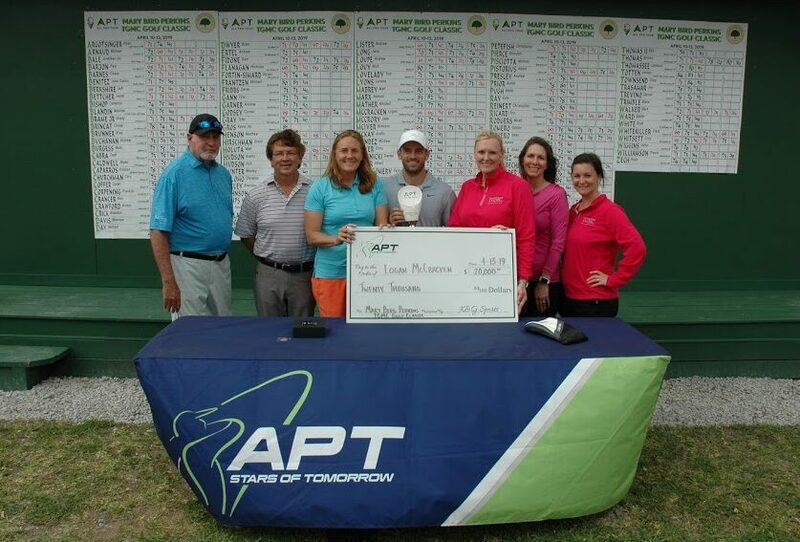 Players competed for the Mary Bird Perkins TGMC Golf Classic Championship this past week at Ellendale Country Club in Houma, LA. Players battled windy conditions that reached up to 30 mph gusts throughout the week. Logan McCracken’s steady play through the week allowed him to edged out Eric Ricard and Taylor Montgomery. Logan sealed the victory on the par 5 16th with a spectacular eagle and finished the tournament at 14-under par. All Pro Tour continues play this week in Mandeville, LA at Beau Chene Country Club.